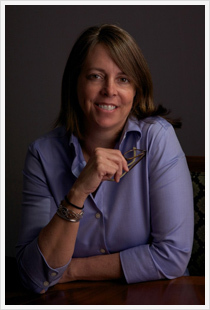 Nancy M. O’Doherty provides tax consulting and compliance services to individuals, partnerships, estates and trusts. She has over twenty five years of experience in accounting and has specialized in tax planning and compliance for individuals and small businesses. Prior to her employment with Anne L. Stone & Associates, LLC in 1999, Ms. O’Doherty spent five years in public accounting where she specialized in the taxation of individuals and small businesses. Subsequently, she was employed for thirteen years at Mason Hirst, a regional real estate developer specializing in commercial office construction, leasing and property management. Ms. O’Doherty was originally employed as Controller and was subsequently promoted to the position of Vice President of Finance. Her responsibilities included oversight of the accounting activities of the firm, financial reporting, management of lender relationships and cash flow and tax planning in a multi-company environment. Ms. O’Doherty received her Bachelor of Business Administration at the College of William and Mary in 1981 and became a licensed certified public accountant in the Commonwealth of Virginia that same year. She is a member of the American Institute of Certified Public Accountants.